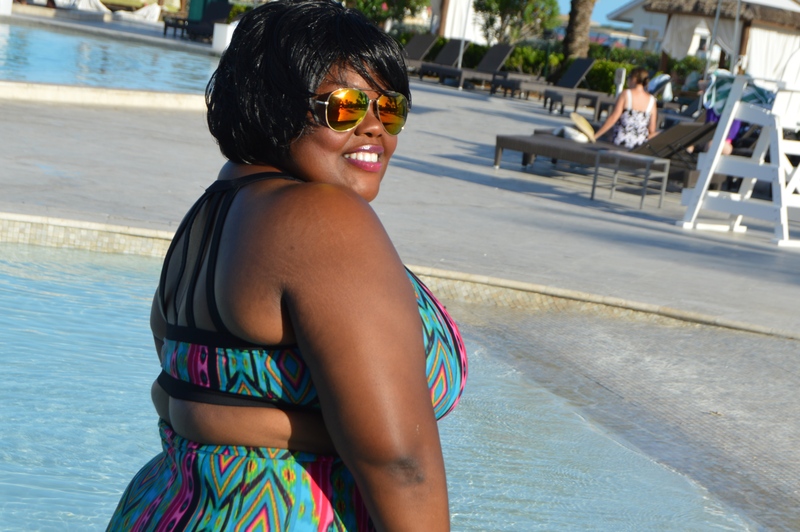 Forever 21Plus wear are phenomenal for a curvy girl! I am wearing the tribal print two-piece bikini set, yes, I said bikini! Again, YES curvy, fat, big, huge women, whatever terminology/adjective you want to use we can wear them! This set is truly cut and design for plus-size woman like myself. I purchased this set awhile back, but I couldn’t let this summer go without sharing the look that made a vacation go awesome. The daring design on the back has charcoal, cut design with over the shoulder straps. I love straps because they can hold up the “girls” perfectly. The bottom is a full waist that fits perfect around the midriff to give a dashing, fierce look! 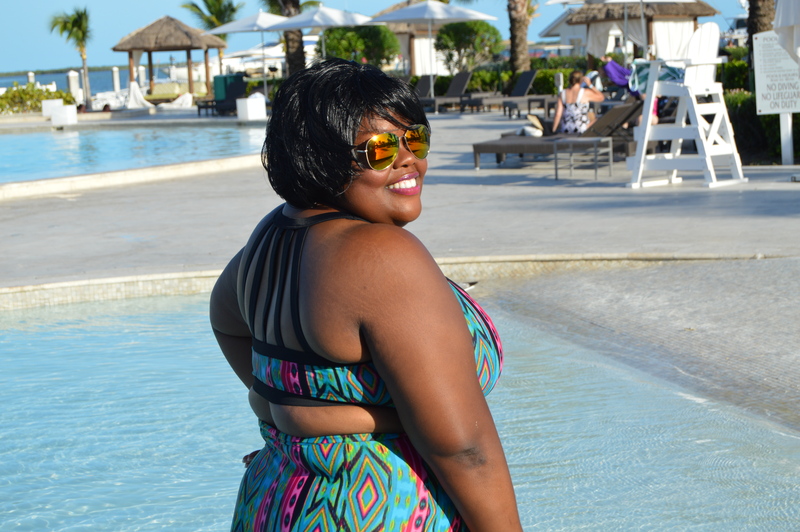 Have fun and please do share your bikini-curvy wear! Happy Looking! Love the print! You look gorgeous!